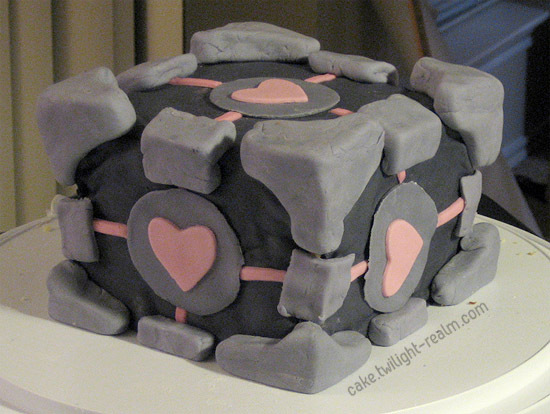 Companion Cube is the first cake I made on my own! Unfortunately, it appears I didn’t take time to properly measure because it’s not really a cube. 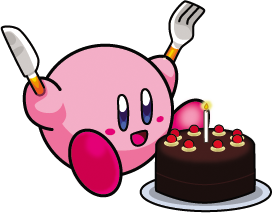 This is also the first cake where I chose something my husband would actually like (instead of something round and pink), so he was pleasantly surprised when he saw it. The corners are just big pieces of fondant, which I removed when serving the cake. I was thinking of doing the Companion Cube again some time, so that I could improve on it. 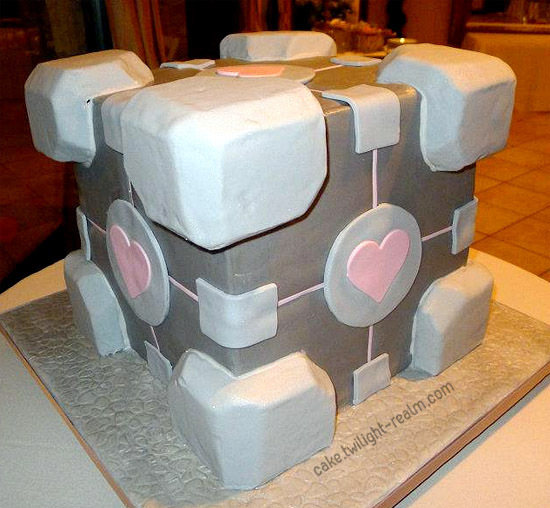 Instead, 3 years later (2011), we got it as the groom’s cake for our wedding! This cake was not made by me. It’s by the talented Envy Pastries!